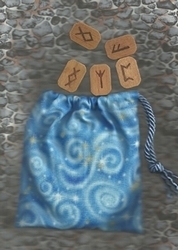 Runes are engraved shapes in stone or wood that one "casts" on a cloth or prepared space. 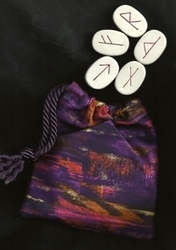 Like tarot cards, each rune has complex, layered meanings that defy simple interpretation. The most commonly used runes are called the Elder Futhark. 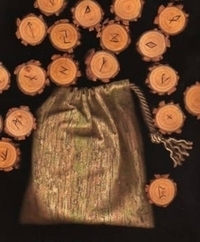 They are an ancient alphabet from northern European cultures and a magical divination system with Germanic and Nordic origins. 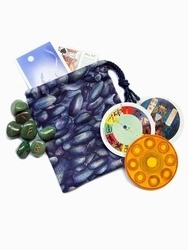 They're a magical tool for gaining insight & prophecy that was gifted to the God Odin after much sacrifice. 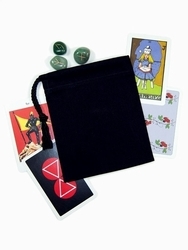 Don't forget to check out our short bags and Tarot reading cloths too. 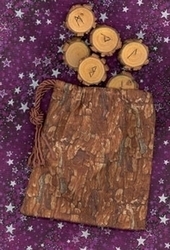 They also make great rune pouches and casting cloths! 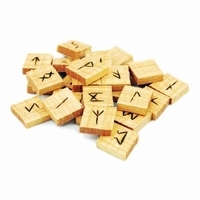 Wood and gemstone Futhark runes are here! Sign up for our mailing list for new product announcements and more.